Responding to concerns from local companies President Maithripala Sirisena has instructed the National Economic Council (NEC) to protect local industrialists when making Government policy decisions including tax changes, access to credit facilities and transport. President Maithripala Sirisena made these remarks presiding over the 12th meeting of the NEC at the Presidential Secretariat on Tuesday, according to President’s Media. During this meeting, the President had discussed six main issues faced by local entrepreneurs. The discussion also focused on the rapid changes that need to be made in the country’s economic management as well as regarding short-term, medium and long-term projects that should be implemented to achieve development goals. It was also observed that the local producers were unable to compete with the imported ceramic sanitary ware products as the cess on these products had been removed on imports. Accordingly, attention was drawn to impose an import tax similar to the value of the cess that prevailed. Attention was also drawn to the difficulties faced by the local entrepreneurs as they did not get an opportunity to obtain credit facilities under concessionary interest rates. 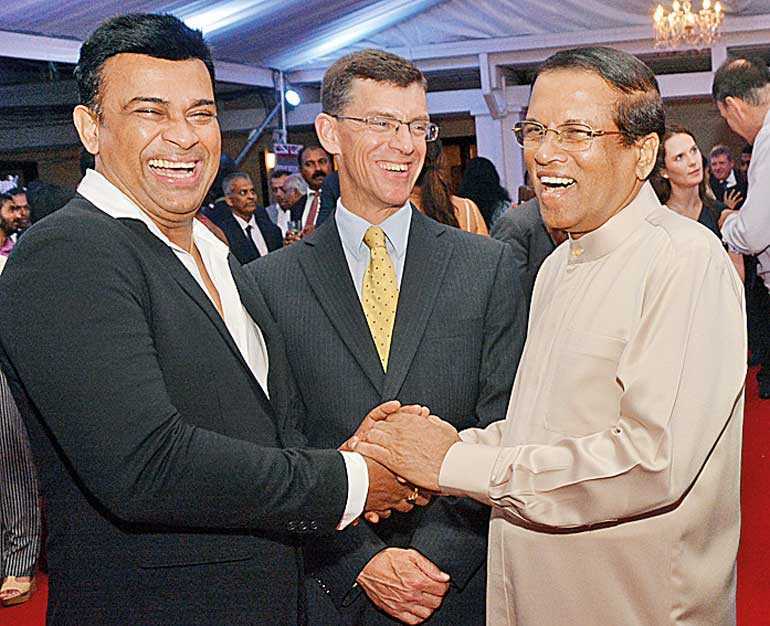 President Sirisena pointed out that there is a responsibility upon State banks to provide loans at concessionary interest rates to local industrialists, and that State banks should pay more attention to contribute to the development of the country by encouraging local producers. It was announced that providing loan facilities to local industrialists and the rural economy should be increased, and the NEC decided that this objective should be accomplished by augmenting the capital of the Regional Development Bank. The importance and the relevance of the ‘Sahasara’ Transport Project, which is operated to increase the efficiency of the transportation sector, were also discussed according to the Statement released by the President’s Office. It was decided upon to conduct this project with the cooperation of the Megapolis and Western Development Ministry and the Transport and Civil Aviation Ministry. It was discussed to exempt some health services, such as counselling services and channelling services, and hospital charges from VAT. Further discussions will be held on this issue. National Economic Council Secretary-General Prof. Lalith Samarakoon pointed out that a seminar has been organised on 28 June to formulate plans to be operated under the National Economic Program, which was approved by the National Economic Council. This seminar will be used to obtain suggestions and proposals of Ministers and Members of Parliament while building their awareness on the National Economic Program. Ministers Mangala Samaraweera, Rajitha Senaratne, Malik Samarawickrama, Mahinda Samarasinghe, Mahinda Amaraweera, Arjuna Ranatunga, Rishad Bathiudeen, Patali Champika Ranawaka, Kabir Hashim, Sarath Amunugama, Daya Gamage, Deputy Minister Lasantha Alagiyawanna, Ashoka Abeysinghe, Ministry of Finance Secretary Dr. H. S. Samaratunga, Central Bank Governor Indrajit Coomaraswamy, and other members of the board were present at this meeting.